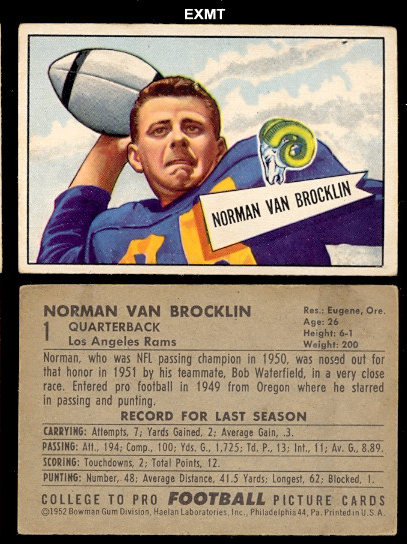 The Bowman Gum Company produced football sets from 1948 thru 1955. 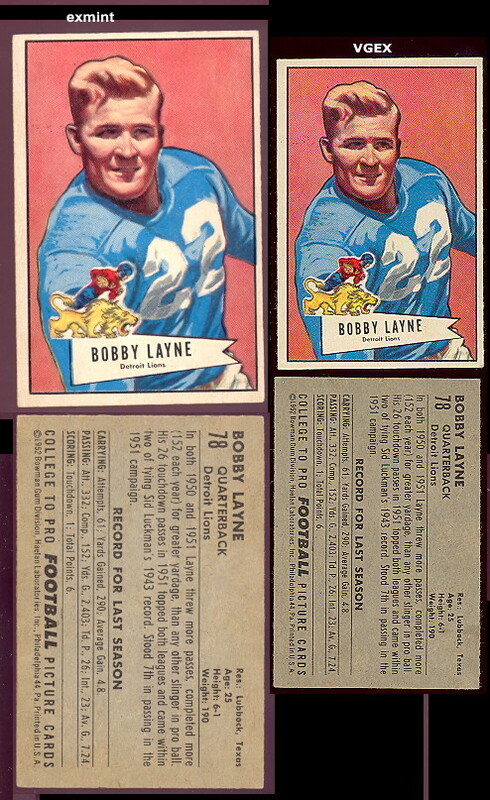 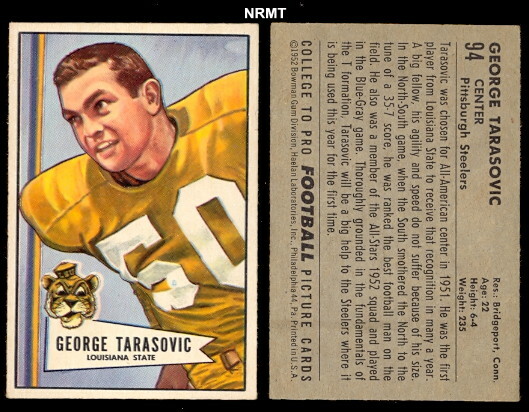 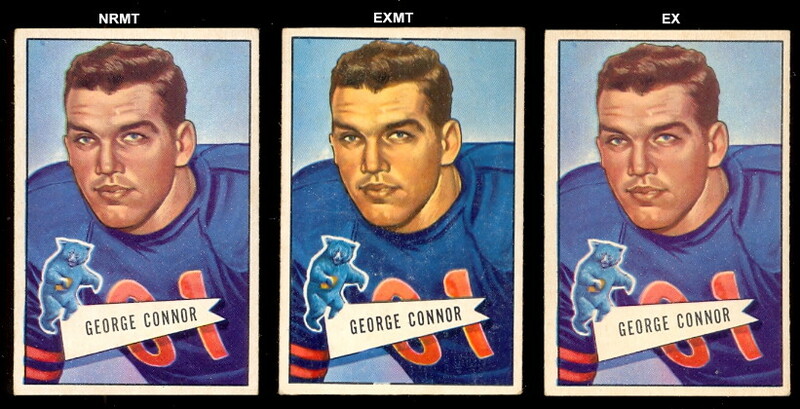 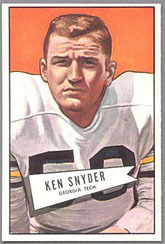 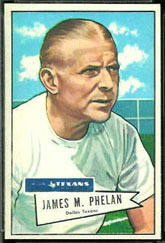 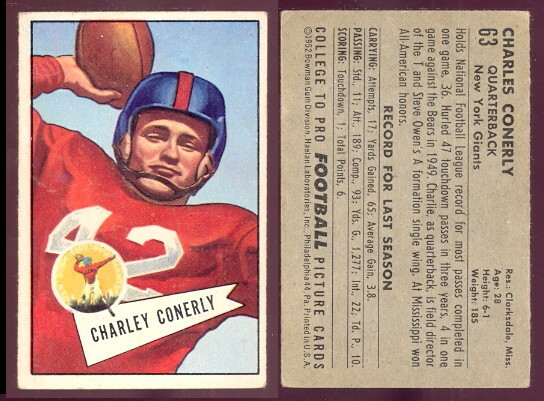 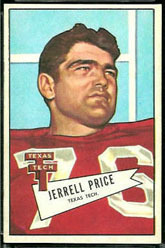 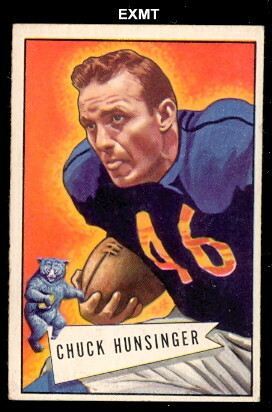 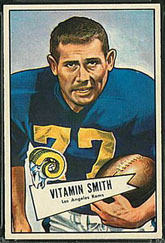 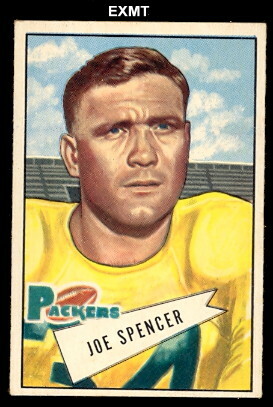 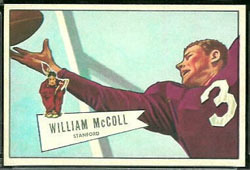 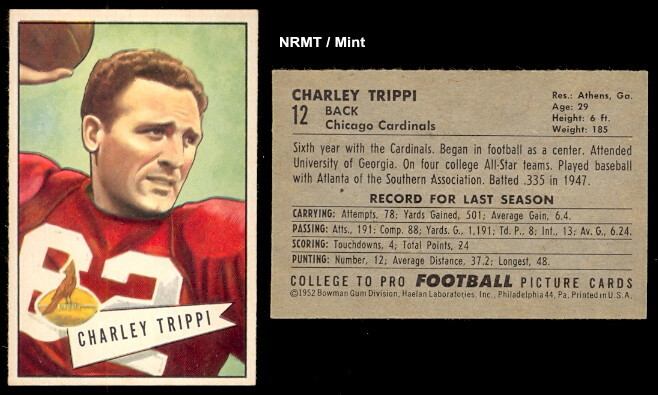 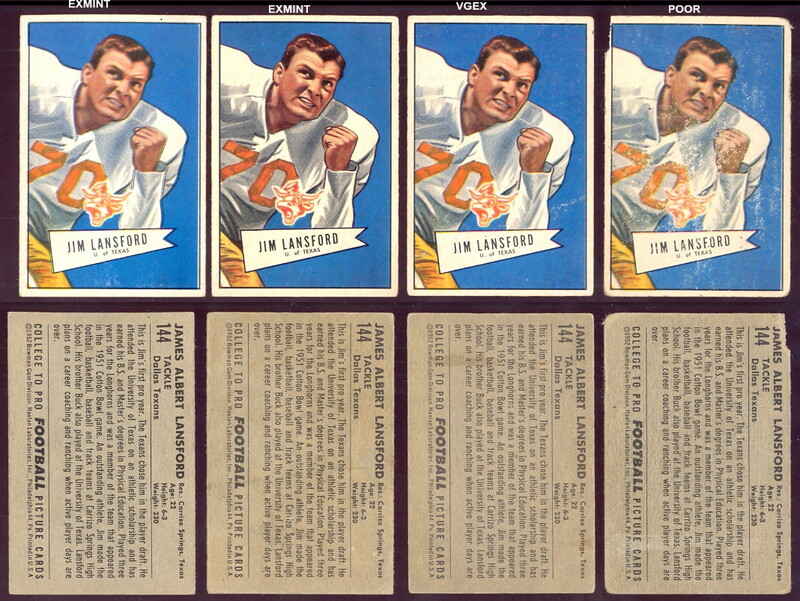 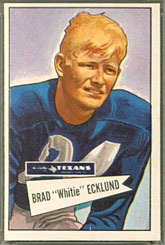 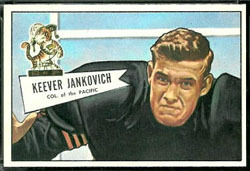 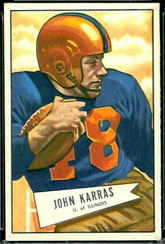 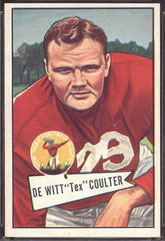 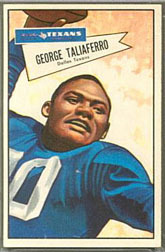 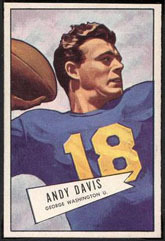 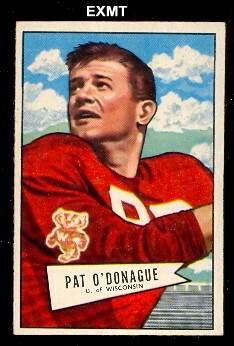 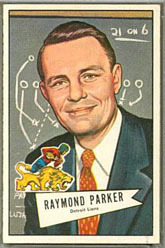 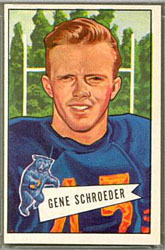 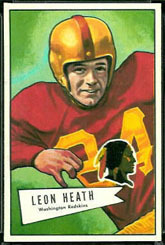 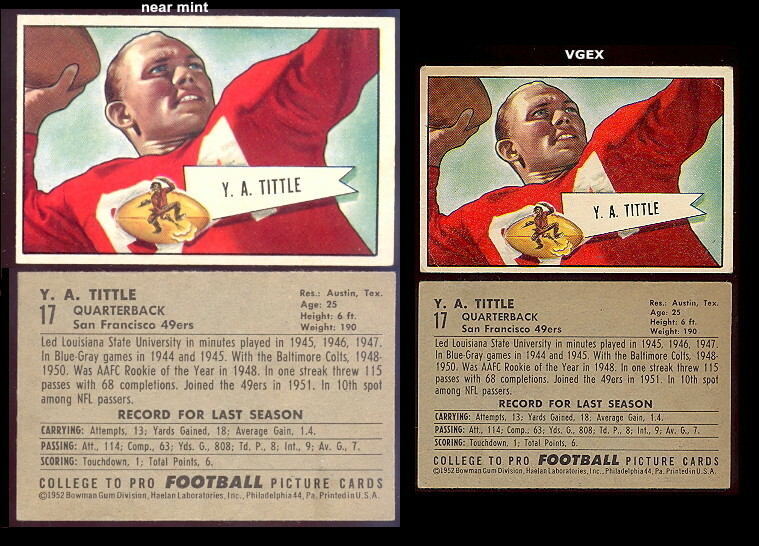 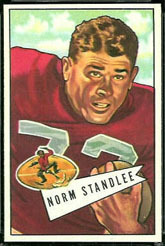 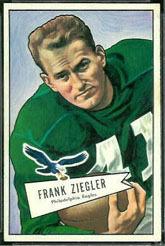 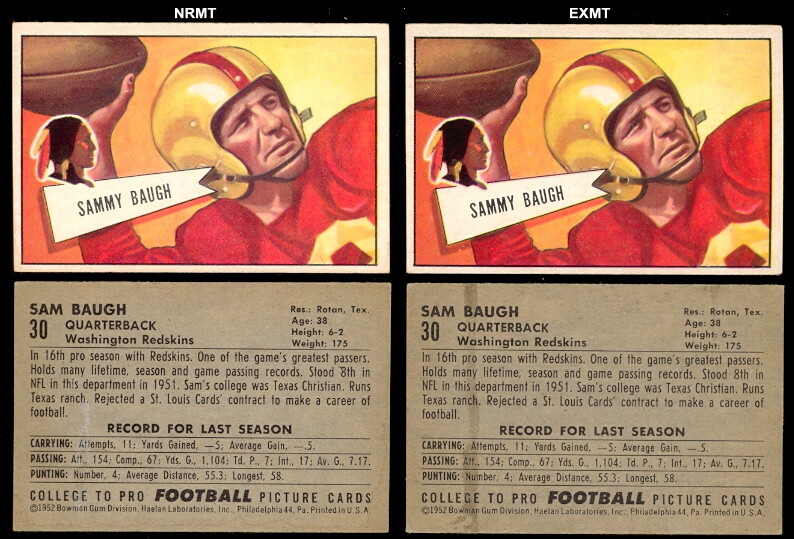 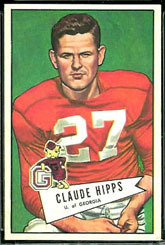 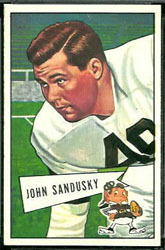 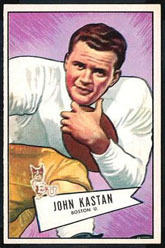 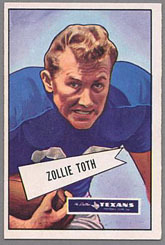 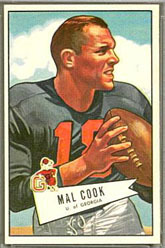 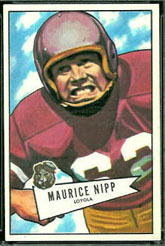 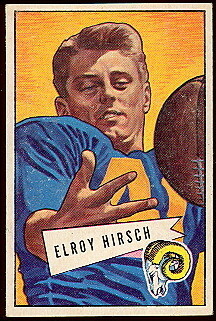 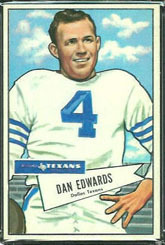 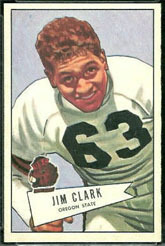 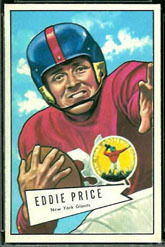 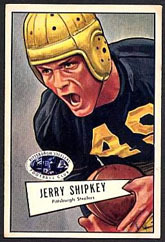 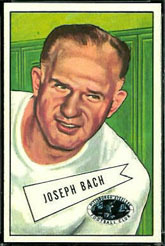 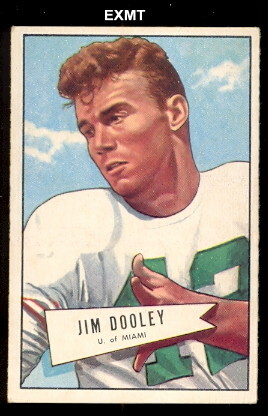 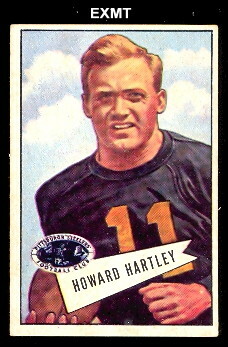 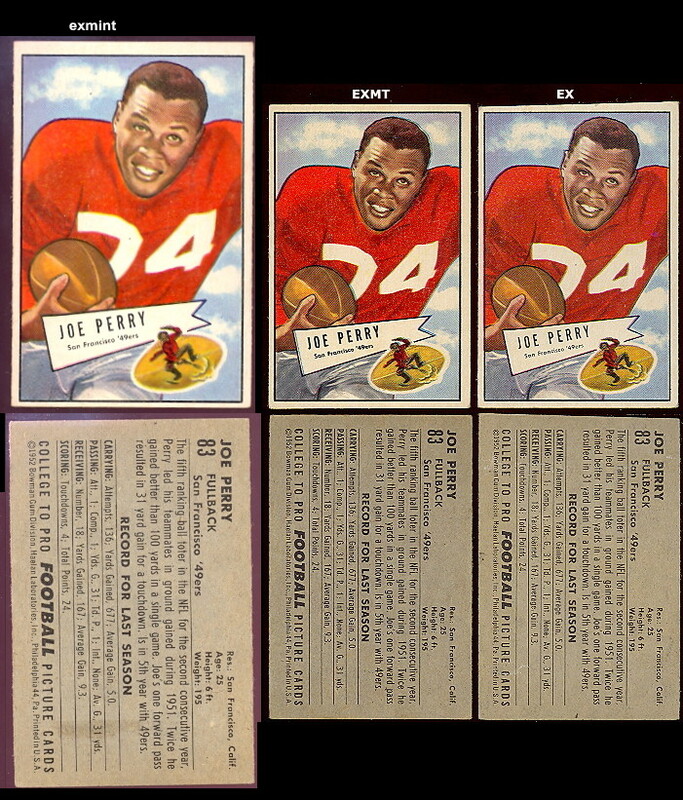 The 1948 set is considered to be the first football set of the modern era. 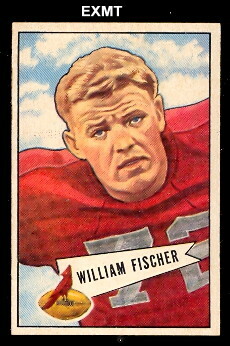 No football set was produced in 1949. 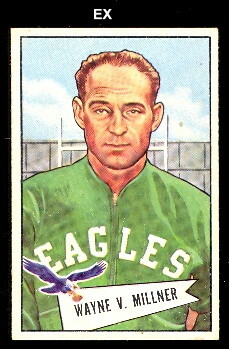 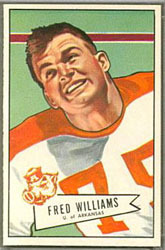 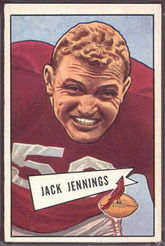 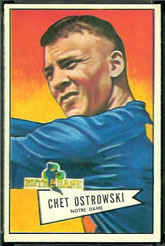 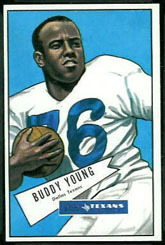 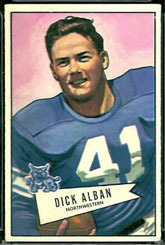 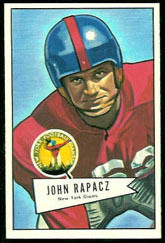 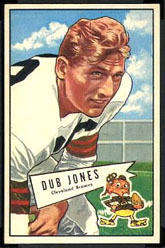 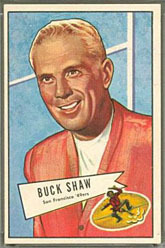 Bowman was the only major company to issue sports cards in 1950. 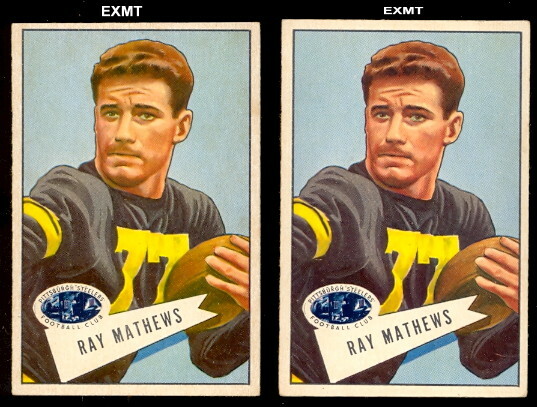 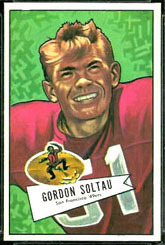 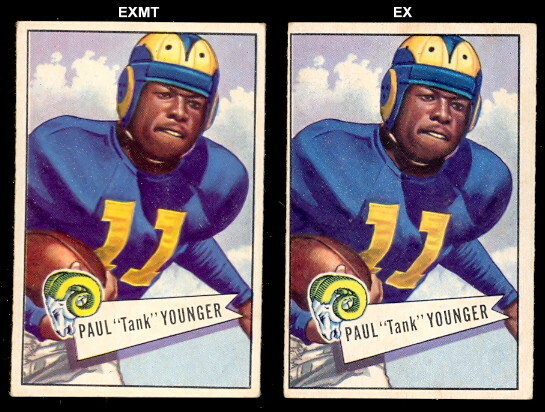 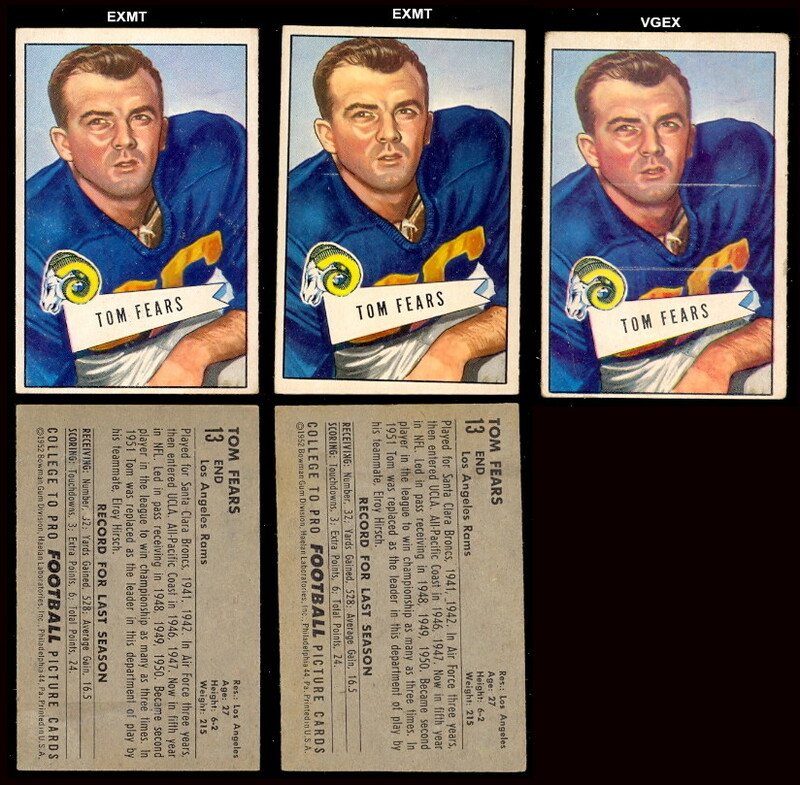 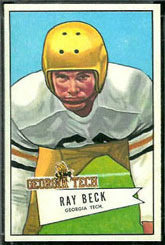 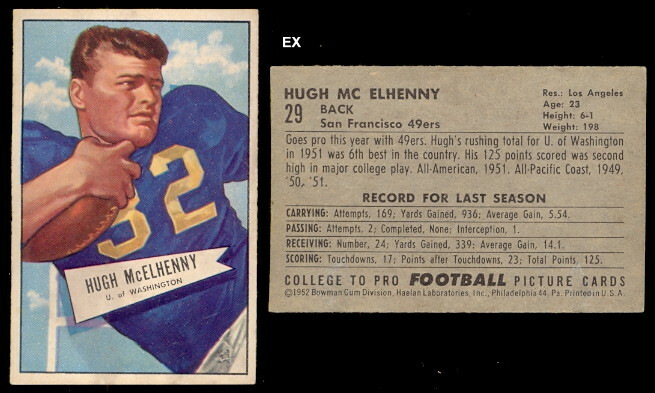 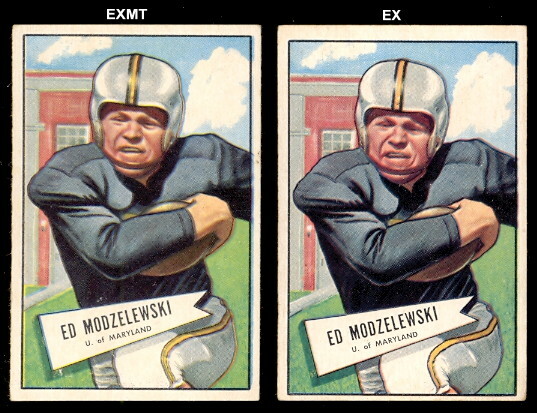 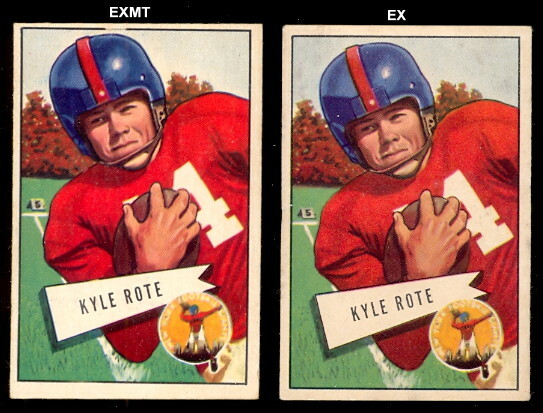 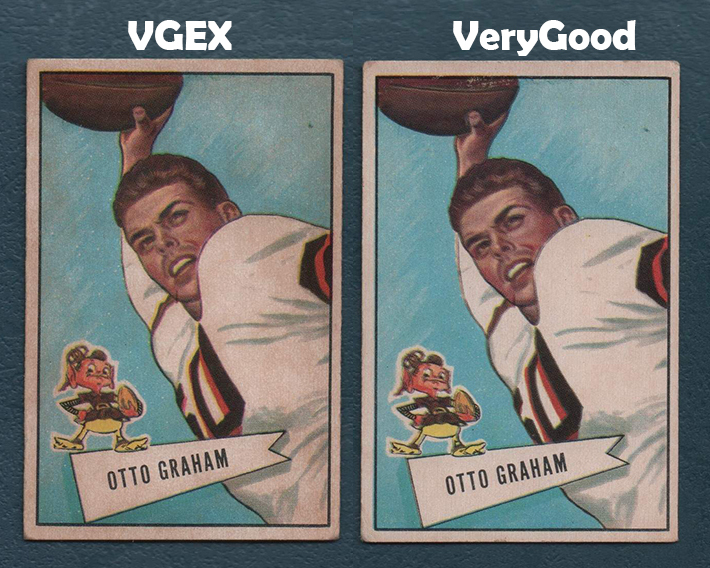 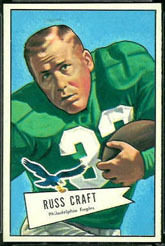 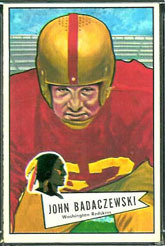 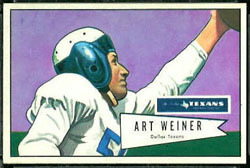 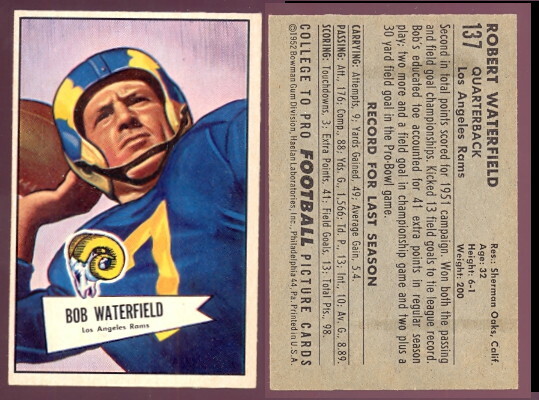 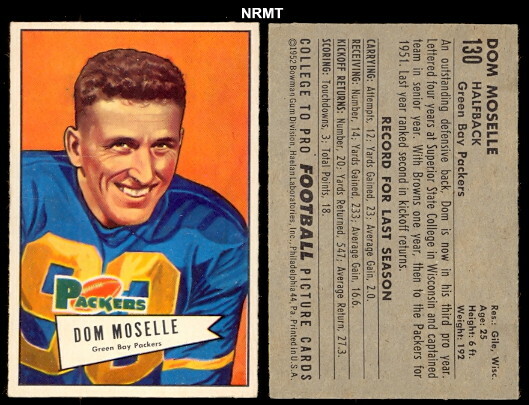 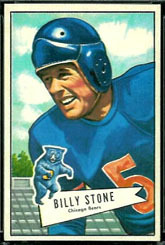 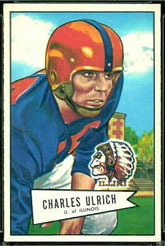 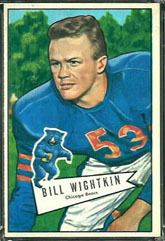 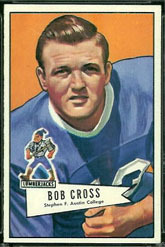 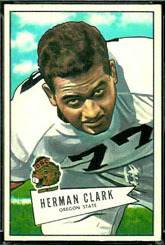 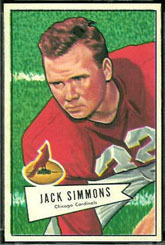 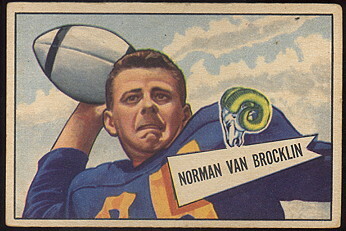 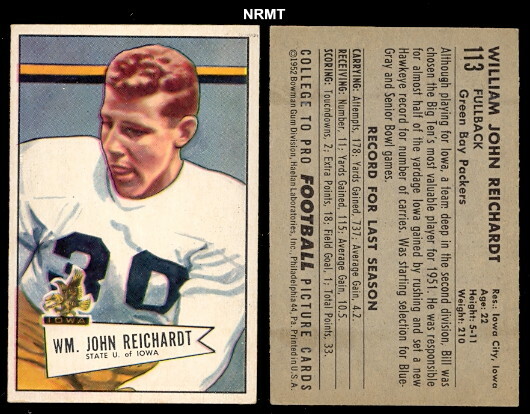 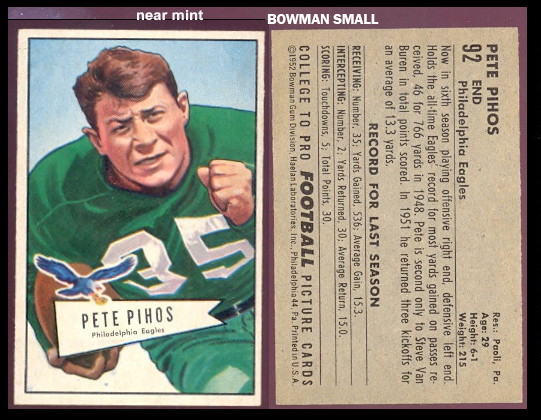 In 1952 Bowman produced two football sets including a large 2-1/2 x 3-3/4 size. 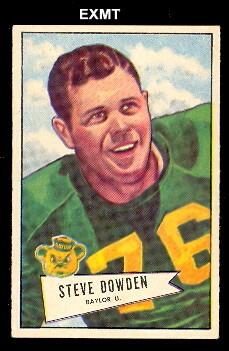 The last year of Bowman football was 1955. 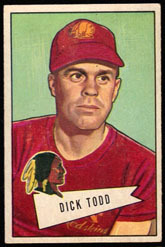 Bowman was bought out by Topps Company in 1956. 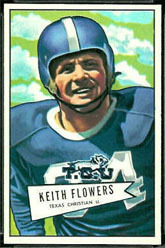 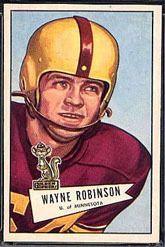 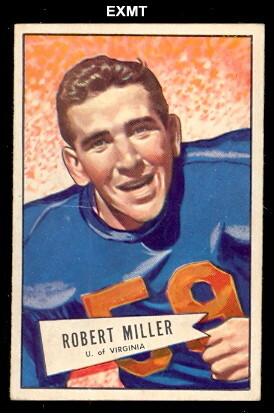 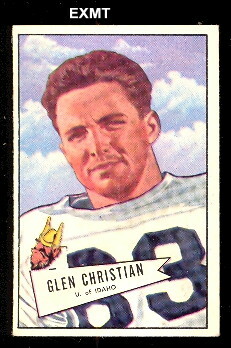 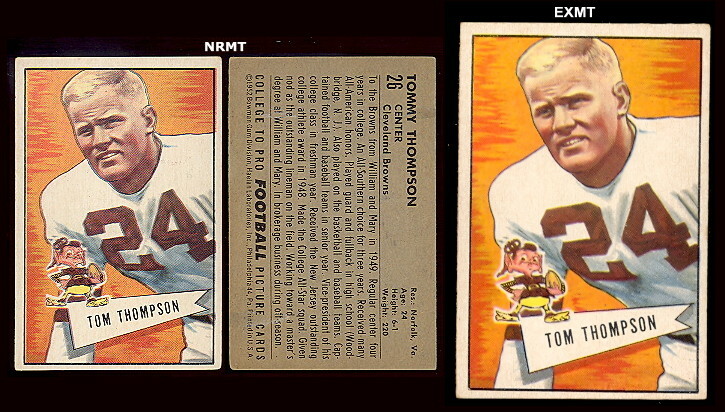 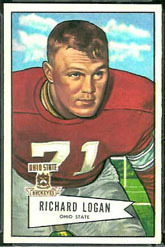 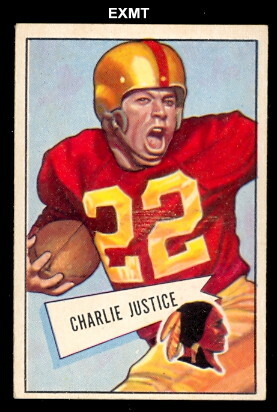 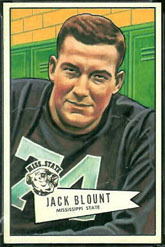 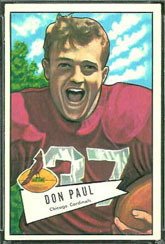 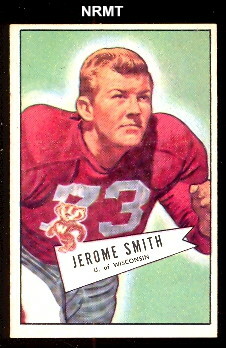 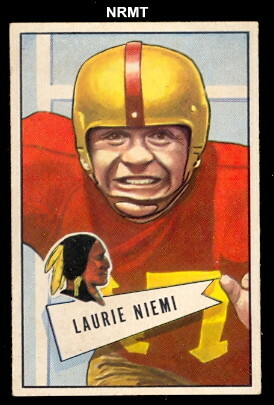 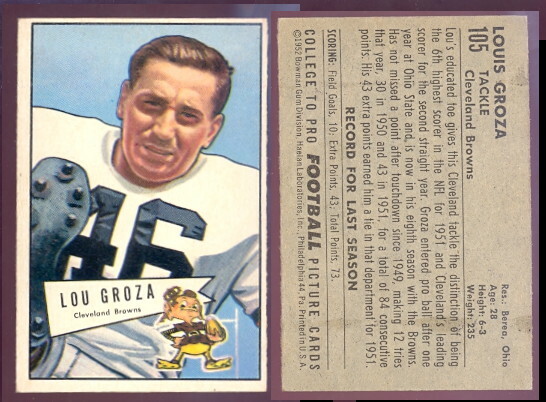 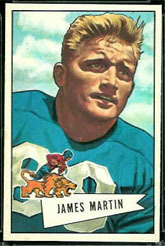 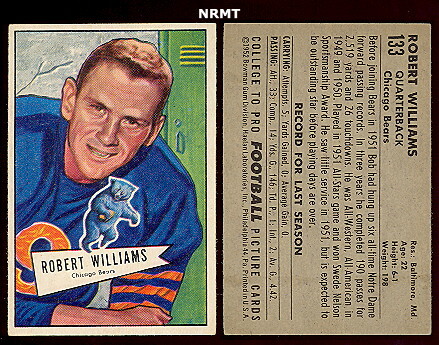 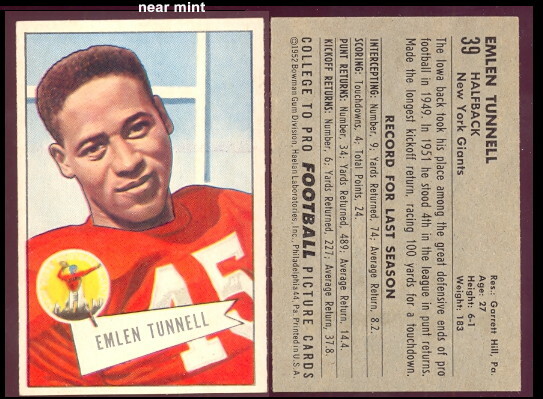 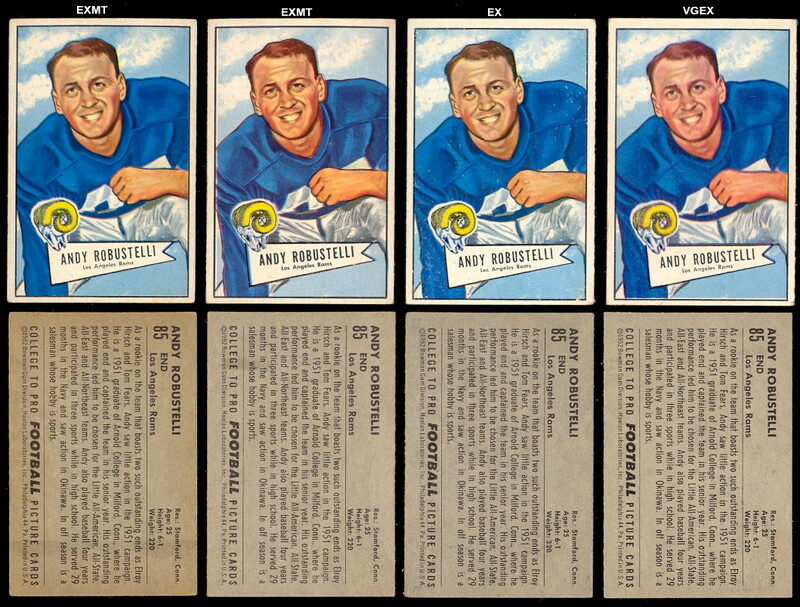 The 1952 Bowman football (small) set contains 144 cards. 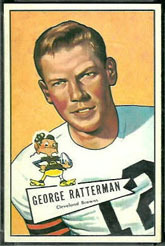 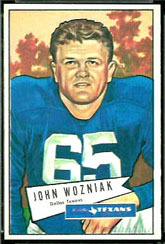 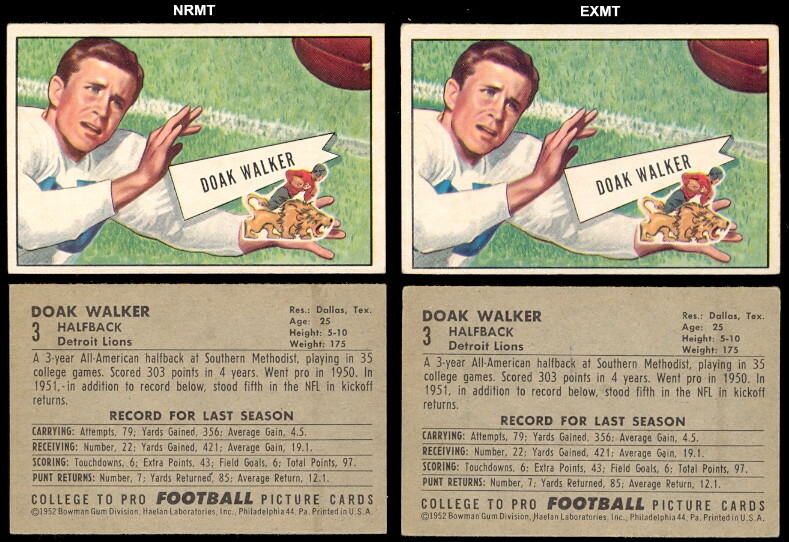 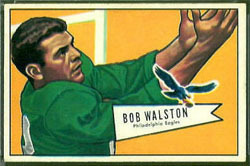 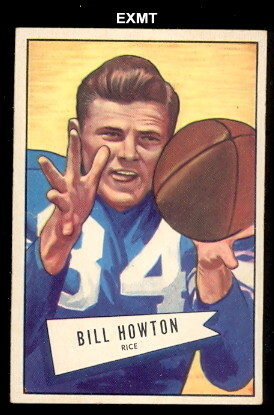 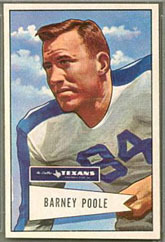 In 1952 Bowman produced two football sets, one small size and one a larger size. 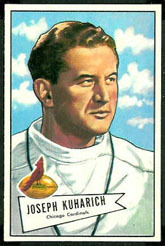 The cards feature color portraits with a white banner. 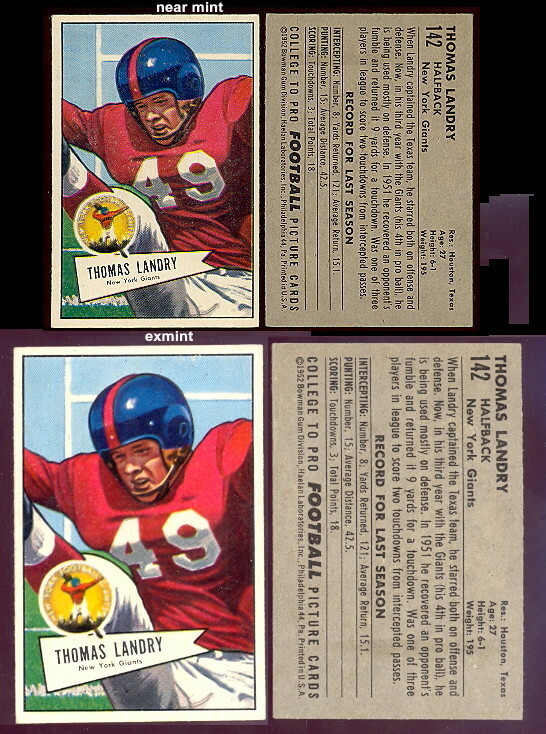 The small cards measure 2-1/16" x 3-1/8". 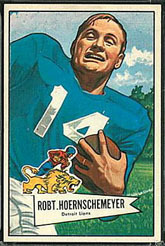 1952 NFL Championship Game: Detroit Lions defeated Cleveland Browns 17-7.